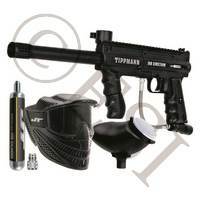 The Tippmann Model 98 has gotten a full update to the new Tippmann 98 Platinum Series. 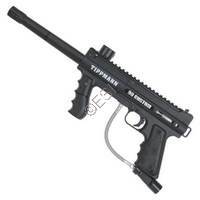 Tippmann took the original Model 98 and made it even better. 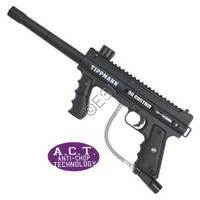 The Tippmann 98 Platinum Series keeps all of the original features you have grown to love through the years such as the ACT (anti-chop technology) bolt, all aluminum die cast receiver for durability, quick release feeder elbow for easier cleaning, and 200 round hopper. If you fell in love with the Model 98, you will love the 98 Platinum Series even more. All new spilt receiver design allows for easier access to the internals and simplifies installation of upgrades and modifications. Redesigned trigger pins and front sight spring making servicing and reassembly a breeze. New Power Tube design is simplified even more with a self sealing self locking gas line which eliminate the 2 side bolts from previous designs. New full depth pocket for the ASA which eliminates the need to remove the ASA when disassembling your paintball gun. The barrel has all new porting with a matter finish to improve air efficiency and reducing the reflective glare. New top Picatinny rail to adding on scopes, carrying handle, or any other tactical accessory. The vertical front grip has been redesigned for improved stability and texture for a more secure feel. Redesigned rear end cap with built in sling mount to attach a variety or different slings. Durable and reliable tried and true inline blow back design. Fixed rear site which limits moving parts making reassembly easier. Fully compatible on CO2, nitrogen, or compressed air.